By the time an adult enters their 40s, chances are they’re struggling to read small-sized text messages on their mobile device or newspaper, without holding the paper at a distance to see better. If this sounds familiar to you, you may have reached the inevitable point in your life when you finally need reading glasses. But are reading glasses the only option? If you are searching for a way to train yourself to avoid or eliminate the need for reading glasses as you age, you’re not alone. Just as regular exercise promotes endurance, training can lead to improved vision. For former Gold Medalist and TV host Summer Sanders, the need for reading glasses came as an unwelcome surprise. As an accomplished athlete and winner of four Olympic medals, Sanders understands the amazing ability of the mind and body to be trained and pushed past its limits. She wondered if it was possible to train her overall reading vision performance and postpone the need for reading glasses, and found she didn’t have to accept diminished eyesight as a fact of life. Revolutionary studies in neuroscience show that the brain can be trained to improve its perceptive capabilities at any age, including image perception and processing speed. The eyes are only partly responsible for vision; in order to see anything, the brain must receive and interpret visual images. The more efficient the brain is at processing images, the clearer and more accurate those images tend to be. A specific part of the brain known as the visual cortex is responsible for processing what our eyes capture. Over the last few decades, neuroscientists have researched and developed visual performance challenges that train the visual cortex of the brain. This technology is now conveniently available to anyone experiencing age-related vision troubles through the GlassesOff app, available on Android and iOS mobile phones and devices. 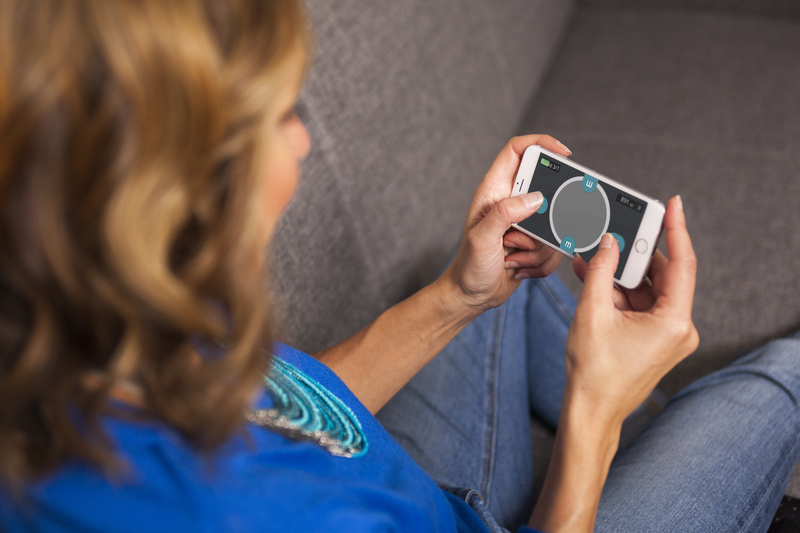 The GlassesOff app was created to reduce dependency on reading glasses by training the brain to improve its vision performance, including processing speed. When Summer Sanders discovered this breakthrough technology, she wanted to experience the benefits firsthand and completed the training on her smartphone. In just two months, Summer was amazed to see the improvement in her near vision. As depicted in the below chart, Summer was able to enter the ‘green zone’ of glasses-free vision in just 15 quick sessions! How starting a new hobby can be a fantastic way to train your brain What’s the connection between ADHS and the GlassesOff technology?